Donezo! If someone had said we’d end up at a 230% funded level of $9200 when we talked about Kickstarting this series, we would have awkwardly squirmed in our chairs and thought you were blowing smoke to make us feel better. Now, we’re a bit speechless at what an incredible month this has been. The amount of support, reviews and other attention THE DEAD has received has been a dream come true. For the immediate future, we’re already going through the motions of getting mini-prints, bookmarks, t-shirts, pins and other reward materials prepared. 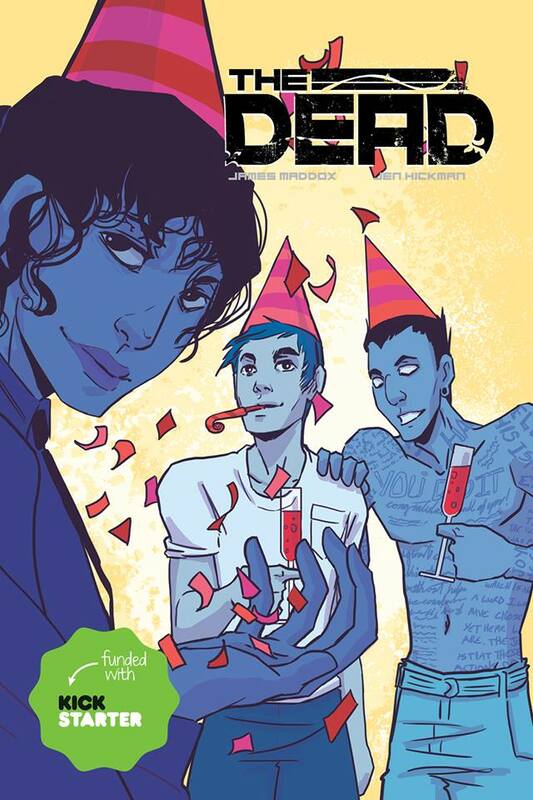 Beyond that, the third issue of THE DEAD is about to be sent off to ComiXology, and we’ll keep everyone updated with our progress as we complete the final three issues and begin receiving items that fulfill our rewards. For those of you who backed, we’re so happy you joined us on this project. Your involvement and support have given us the opportunity to create this series with the goals and content that we originally wanted to present. We can’t say thank you enough (though I’m sure we’ll continue to try)! For those who are coming in after the Kickstarter deadline, we’ll be equally as happy to have you on board as we do more with DEAD! Thanks again to everyone who backed or spread the word about this campaign. You all are the best!